For the small amount of readers I had, you may remember my FM13 story “Doing It Down Under” a few weeks ago. After my computer was completely fixed which involved a new harddrive and therefore a loss of saves, it obviously had to end. But it was the most fun I’d had in FM for a while, so I’ve decided I’m going to do a “Walter.” Use the exact same team and story title 2 FM editions in a row. Welcome to “Doing It Down Under” v2.0! Yet again, the main character will be Sean-Paul Lodovico, although this time there will be backstory or anything, I just love that name (credit to Justice ). I may have accidentally made his rep ‘Continental’, but I don’t really want to change clubs anyway. 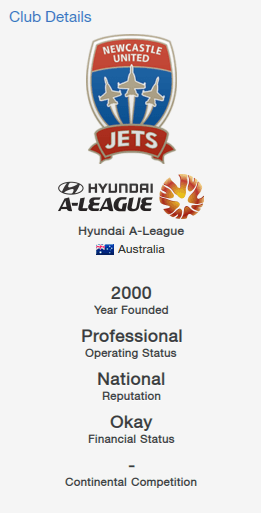 I have gone with the Newcastle Jets again, but hopefully this time I can take them all the way. This story will be a simple report style, but I’ll definitely add some detail. I’ve made it in the mould of Griffo’s and Walter’s stories, 2 of my favourites, and I thank them for the inspiration. Hopefully you enjoy! PS. Apologies for the truly awful banner I put together in about 5 minutes. Go on Jets! Get big Heskey firing mate! Hahaha, I'm such a trendsetter Best of luck Feliks, will be following! Phhh meet yourself Walt... I set trends! I expect a lot from Connor Chapman in this save. This is my first proper update on an FM14 story! Woohoo! Anyone got a graphic for that? No? OK, let’s move on. The Jets have a rather large squad, but we manage to stay under the 20 player limit because we have some great youngsters who don’t have to be registered. This means we have 19 players over-21, and therefore registered. Here’s a list of the squad ranked by current ability. The Marquee Man, Emile Heskey brings a wealth of experience to the team, as well as a huge influence on the pitch. His aerial prowess is unparalleled, and should be a huge factor in our season. 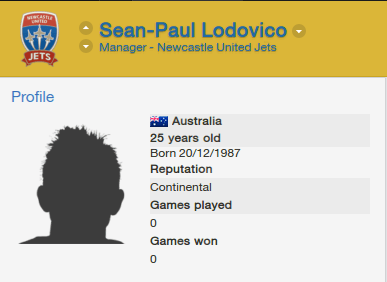 I once mistakenly called this kid a wonderkid, but he’s pretty damn close for an A-League team. In real life, Josh Brilliante has recently moved to Fiorentina, but I’m hoping I can hold onto him a bit longer and get some good performances out of him. He’s a ready made first team player, and will be on the pitch more often than not. Another experienced campaigner, this time at the back end of the field. 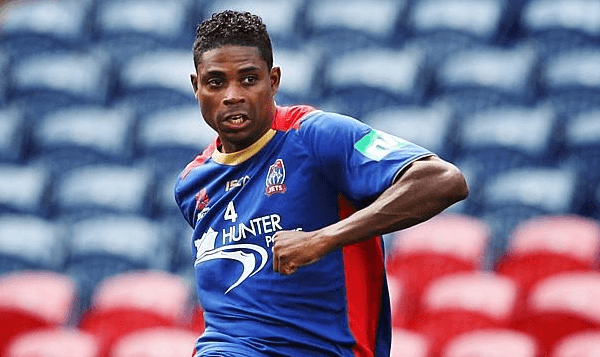 Kew Jaliens , an ageing Dutchman, will be my main stopper and I’ll look to him to contain the likes of Besart Berisha and Archie Thompson, because I love to keep clean sheets. Speaking of clean sheets, I’m going to rely on Mark Birighitti to get them. He’s a little raw, but he’s my best and will develop heaps so despite Parma’s interest, I want to keep him. Next update will be the pre-season and transfers. Tune in then! MCox93 Getting Heskey going is going to be crucial. Walter Thanks Walt for the support! Griffo Same here, Chapman should be instrumental. Good update, Heskey should be key to your season! Good update, let Heskey destroy the league! Walter Thanks Walt, and Heskey will be the key i reckon. As in, he plays well, we play well. toonman Brillante is one of my brightest prospects, and I'm definitely looking to hold onto him. It’s time for the season to really kick off now, but first, let’s have a look at our preparation. 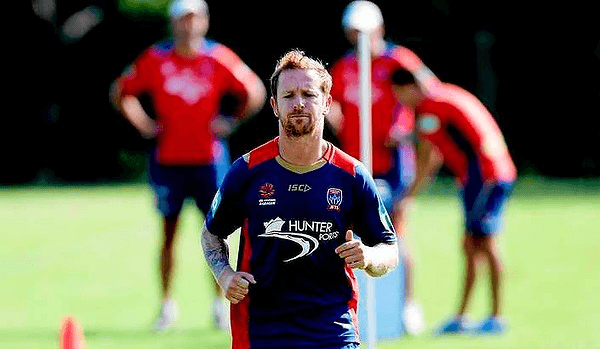 First we had the usual intra-squad friendly with the Newcastle Jets Youth. We got off to a perfect start when Joel Griffiths scored just 2 minutes in. 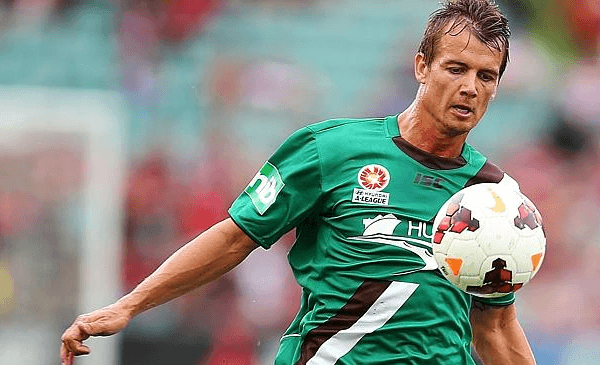 He scored his second just after HT and Adam Taggart made it 3-0 with 22 minutes left. It was a good way to see who was going to be useful for me. 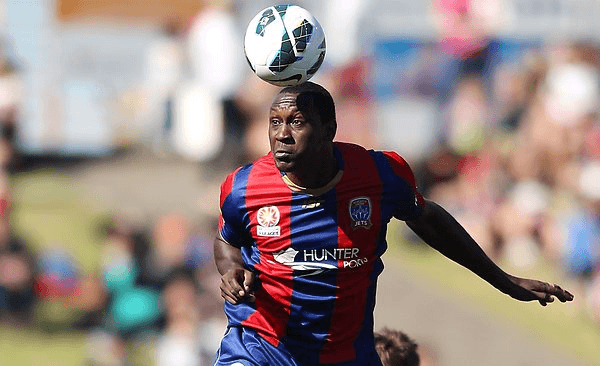 Our next fixture really showed me the capabilities of the beast Emile Heskey, as he completely dominated the match against Manly United. He booted 3 goals, assisted 1 directly and set up another as we annihilated them 5-0. I took the match against Sydney United to play some youngsters, and one guy who really stuck out was 16 year old AMC Tom Waller who kicked a goal and teamed up with Heskey superbly, who also kicked one. It was a solid 2-0 win which I like to see. I played even more youngsters in our next game, against the Weston Workers. After a goalless first half, our breakthrough came from the most unlikely of sources, with centre back Nick Cowburn (finishing 2!) toepoked a David Carney corner 51 minutes in. We were amazing defensively as the Workers failed to register a single shot. However, bad news came as Emile Heskey picked up a knock and will miss 3-4 weeks! In our final pre-season match, I made the mistake of resting even more players and probably my worst mistake was playing 16 year old Adam Pearce in goals. We struggled against a very decent side in Sydney Olympic, and some of our misses were disgraceful. 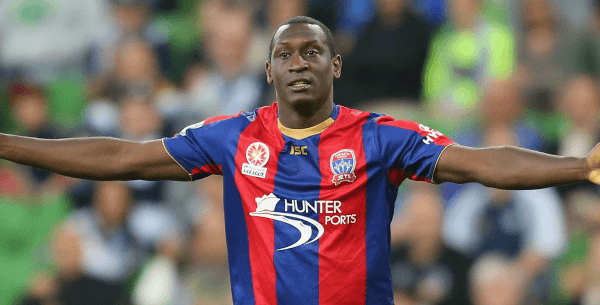 I desperately need Heskey to return, and I hope the loss doesn’t affect our A-League performances. A disappointing 3-0 defeat. We had a very quiet window, and I opted not to bring anyone to the club as I felt we had a good enough squad and not enough wage budget open. 2 major incidents happened over pre-season though. This one kind of amused me, seeing as everyone says Heskey is crap. When it says negotiate, it was me being a bit silly. I think wanting 1M shut them up. 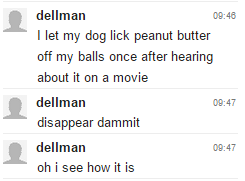 This time I wasn’t laughing. In fact, I saw it was a way to make some money. I managed to renegotiate the fee to 600K, and my first and only bit of transfer business. That’s right. Its time. For Heskey to be injured. Hopefully we can recover and play well without him. Here’s our upcoming games. Next up will be the October review! Love this layout, very slick. Nice results bar the last one and good business with Neville!